Avira Operations GmbH & Co. KG is among the global leaders in manufacturing of Antivirus Software. They provide antivirus products for almost all the leading computer systems. Antivirus products from Avira are known for their ability of security in multi-dimensional ways. Not only it provides anti-malware functions, but it also warns and blocks suspicious attachments, URLs prone to phishing attack, etc. Avira is one of the best and most effective way of protecting system from virus. Live PC Expert is a Smart Partner with Avira Antivirus products. 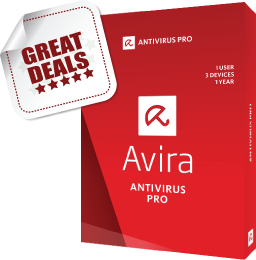 What makes us the best place to purchase licenses for Avira is our complementary installation support with every Avira Antivirus purchase. Live PC Expert is a BBB Accredited Business for its customer centric approach in tech support services. To make your PC experience hassle-free and safe, Live PC Expert offers a complete range of technical support services for all software related issues.